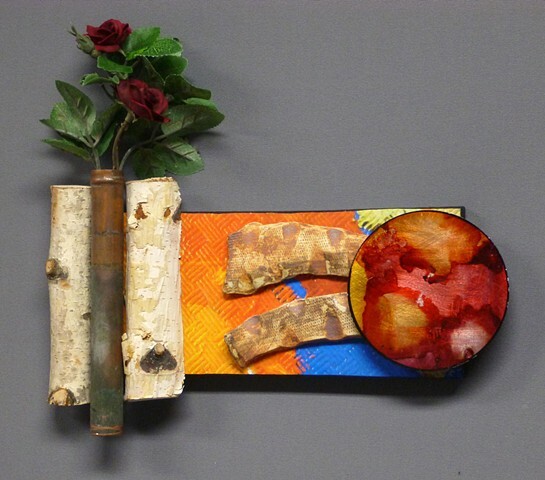 Over a photo of a painter's work bench is mounted two birch logs, a copper pipe with fake roses, a couple of ceramic pieces I made at Jill Smith's pottery studio and a metal disk colored with alcohol ink. Comets are just award ribbons turned on their side. Aren't they?